There are a lot of microscopes on the market, but the Nikon E100 microscope certainly stands out. This model takes up little space for a biological microscope, while still providing high quality optics, comfort, and ease of use. Although more compact than its counterparts, including the Eclipse E200, its solid and sturdy design makes it perfect for education and performing everyday tasks. While small in size, it loses nothing in optical power and potential. 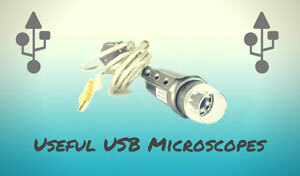 The Nikon E100 Microscope is a great addition to any lab at home or on the go. The Nikon E100 is no longer manufactured. 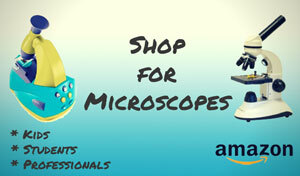 New and used E100 microscopes are available on Ebay. The Nikon E200 LED Laboratory microscope is available from Amazon. With so many features that the Nikon E100 microscope offers, it may be hard for customers to decide which ones to focus on! Biologists will appreciate the anti-mold design, which helps protect the microscope in even the most humid of environments. 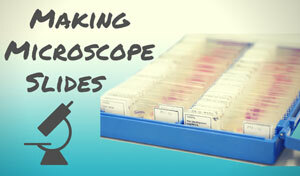 Anti-mold paint and tablets are incorporated in order to protect the objective lenses, eyepieces, and eyepiece tubes. One of the best features of the microscope is its own footprint. At less than 8 kilograms, it's designed to fit into areas where space is a premium. The Eclipse E100 can fit well into clinics, science labs, or even field research. Even though small, this Nikon microscope still packs optical power. 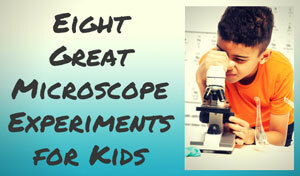 It has the potential to magnify specimens from 40x to 1550x. The viewer will find clear images no matter what magnification power they use, thanks to Nikon's acclaimed CFI60 optical system. The 30-degree angle eyepiece also lets the user maintain a more natural and comfortable position while viewing specimens. The Eclipse E100 offers many adaptable features that customers can use to modify the unit. It can be fitted with a digital camera in order to capture microscopic images. The unit also has the ability to accept a phase contrast slider that automatically adjusts the aperture diaphragm. Although overall a great unit, there have been reported problems with the lamp output. Some customers find that the lamp never reaches the promised voltage rating. The light works fine for field observations, but it may not be bright enough to use for phase contrast. In order to correct this, Nikon is offering to replace the problem parts free of charge. Customers need to contact either a sales representative or the customer service center. Even if the microscope is no longer covered by the warranty, Nikon is still offering the free replacement to all of its customers. This is an ideal unit for education and many small labs. It is easy to store, maneuver, and use. The optical power gives the viewer crisp, clear images at any magnification. The anti-mold technology helps keep it around and functioning well. 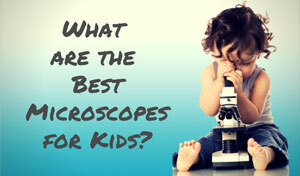 The Nikon E100 microscope is the perfect blend of power and potential. Recommended for: Although many can reap the benefits of this model, it fits best into classrooms that study either earth or life sciences. Veterinary and dermatology laboratories may find that it can meet all their needs too. 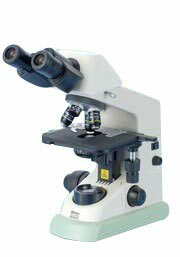 New and value priced new Nikon E100 microscopes are available on Ebay.